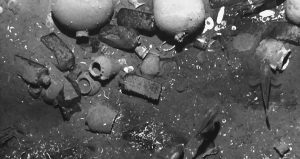 Colombia has announced it will salvage the ‘holy grail’ of ship wrecks. 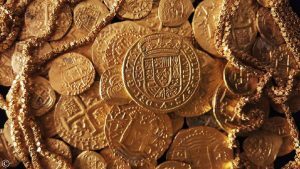 The San José treasure galleon was discovered by the Colombian navy in 2015, with an estimated $1 billion (US) in gold, silver and precious stones on board. The San José was a 60 gun Spanish War Galleon commanded by José Fernández de Santillán during the War of Spanish Succesion. On May the 28th 1708 a Spanish treasure fleet set sail from Portobelo, Panama heading to Cartagena de Indias. The fleet comprised of the flag ship San José, two further galleons (San Joaquín & Santa Cruz), and fourteen merchant vessels. On June the 8th the Spanish fleet encountered a English naval squadron, commanded by Rear Admiral Charles Wager. The ensuing engagement became known as Wager’s Action. After several hours of battle the 70 gun English flag ship, the Expedition, sunk the San José. The San Joaquín managed to escape, and Santa Cruz was captured. 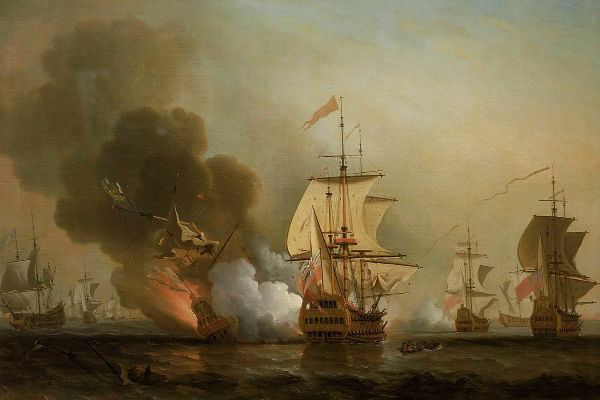 Colombia, the U.S, and Spain have all presented claims for the treasure, but with the wreck in Colombian coastal waters it would seem the Colombian government is pressing ahead with a mission to salvage the ship and its treasure. A museum in Cartagena is planned to house some the treasures recovered.